Good morning 2012! It is 4:46am on January 1st and you can hear a pin drop in my office. It is amazing how the mind can race with absolute silence. One of the most common questions I get each & every day is, “Hey Raj, how’s the market?” Or “Where do you think the market is going?” It is at that exact time I pull out my crystal ball, chant a few magical words, dance in circles and rub my crystal ball in a counter clockwise fashion. Real Estate in Orange County is more about timing than location! I am sure many of you are asking the question, why? Well, if you are fortunate enough to have had a job for the past 2 years, have money in the bank, good credit scores and want to buy a home you will see just how competitive it is out there! Inventory is at a low point, buyers are at a high point, rates are historically low and people want to own a home! So if you are looking for a home in Orange County (location is already a win-win) it is all about your timing now! And now is the time! Fierce competition will continue to drive buyers crazy! As you race out your door with your agent and look at every home in Orange County you stumble upon “The One!” You LOVE it! You bring your whole family to see it! You are driving by the home at all times of the day to make sure it is still there! You even call it “My Precious”! You write an offer! Against your agents advice you write it up $100k under list price! Your agent looks at you and says, “are you sure? It is already priced aggressively and 30% under what it sold for 3 years ago and the home next door just sold for $50k more than this homes current listed price. He further goes on to say, we have looked at over 75 homes in the past 30 days from Corona Del Mar to Fullerton and this is the only one you have LOVED!” But you are convinced it is a buyers market, have 20% down, money in the bank, impeccable credit, a good job and the perfect house should sell for way way way less than market value! So you write it up at $100k under list price! Your agent calls you the next day and tells you the seller took another offer…over asking…from an all cash buyer…who wanted a 7 day escrow. What just happened does exist, has happened, does happen and will continue to happen in 2012! Crunch Your Numbers First! Let’s look at the scenario that just happened in #3. 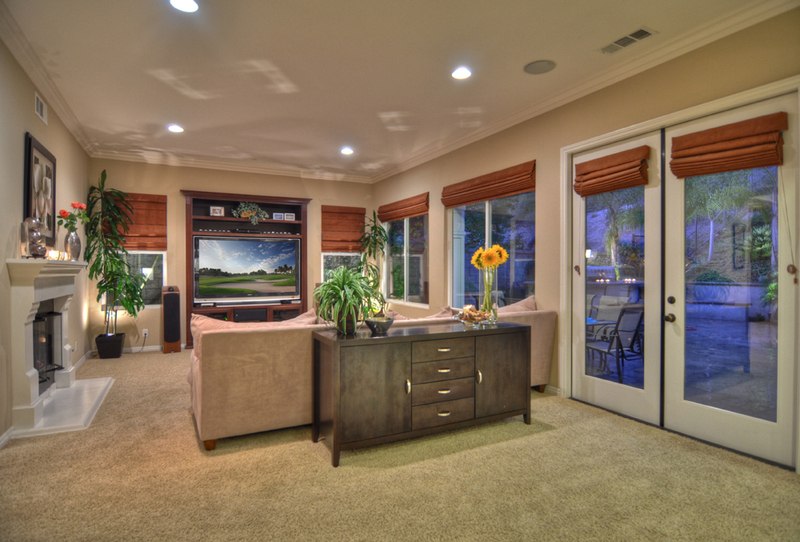 A currently listed $1m dollar home in Vista Del Verde (very popular Golf Community in the hills of Yorba Linda). This home was probably around the $1.5m price point a few years back. Typical interest rates with 20% down are running right around 4% (+/- half a point depending on many factors). That puts your loan amount at $800k. That loan would cost you about $3,800/month for 30 years. If prices stay the same and rates go back up to around 6% your monthly payment just went up by $1,000/month, $12,000/year and $360,000 over the course of your loan! (We will not even talk about if prices go up and rates go up!) The above buyer in scenarios #3 was trying to “save” some money on the price of an already discounted home. But that savings only got him in trouble because the big picture is really on the rates (back end) not the purchase price (front end). Pocket listings are alive & well. What is a pocket listing you ask? It is a home that is “NOT On the Market” but is “For Sale!” What? How does that work? Why would a buyer hungry seller not put their home on the market? Again, competition is fierce (see #3 above). Local agents talk to each other. We talk on text, email and FACEBOOK! We talk at local broker caravans and we talk at Starbucks. We know who has the buyers and who has the sellers! And we put them together! Now think about how nice this is for a seller…a few off market showings with a few hand selected buyers and the house sells! This is happening more & more as our ability to communicate has changed over the past few years! Instead of calling hundreds of agents in Orange County we can now post our “pocket listing” in a private facebook group to hundreds of agents before it hits the MLS. With all of this being said there is still a lot we do not know about 2012 and the Real Estate Market in Orange County! But in the tradition of keeping it simple this is what we do know. Now is the time to buy. If you find “The One” make a great offer! Rates are phenomenal. And if you are selling and have a perfect home in a perfect neighborhood give us a call as we probably can make life a lot easier on you in 2012! Happy New Year Orange County!